I took this photo last March in Calis. We were sat on the wall along the beach enjoying the sunset, and I realised we weren’t alone. Three little street dogs were just running along the beach chasing each other and rolling around in the sand. 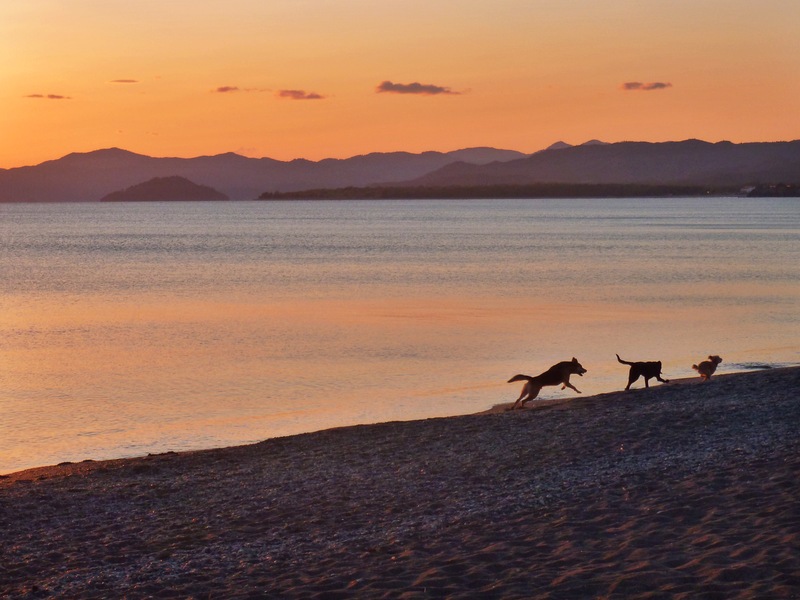 I just love how happy they all look with their tails in the air and ears flapping – it’s not an easy life for street dogs in Turkey, so it was lovely to see them just running along having fun together. My favourite is the little dog at the front, so cute. I love how they look like little silhouettes against the orange glowing sky behind. I guess humans aren’t the only ones who can appreciate a Calis Beach sunset!